Last night I made my favorite dessert, chocolate dipped strawberries. Strawberries and chocolate chips (the milk chocolate Ghirardelli ones are the best) are two things that can always be found in the Johnson house. 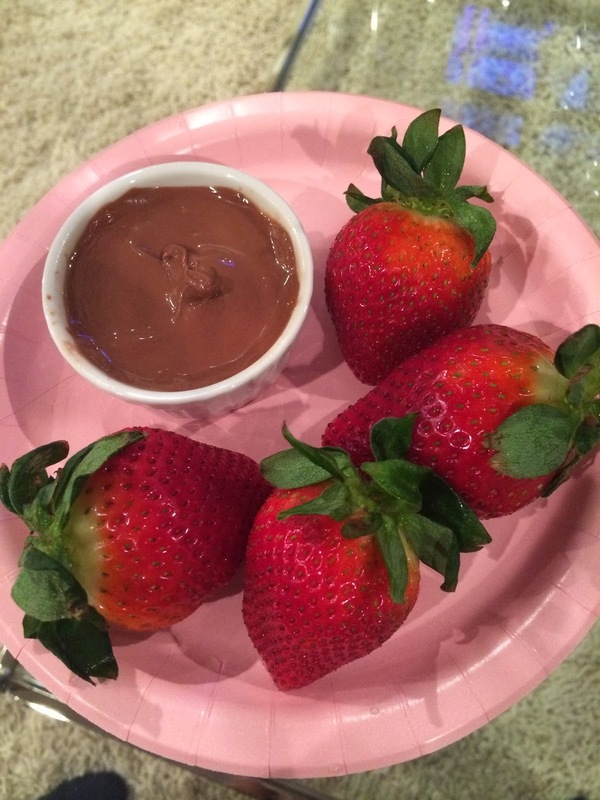 I love to melt a small handful of chocolate chips and dip strawberries in it for a little treat after dinner. I will never, ever get tired of it! !